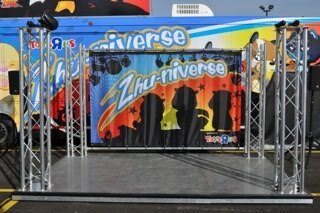 The Zhu-niverse Tour 2010 Tour is a mobile, interactive experience, full of family fun for kids and parents alike. 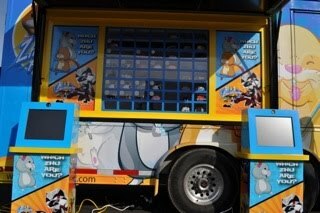 From a fun-filled event at Toys R Us locations to interactive extravaganzas at festivals and fairs, cities across America are going to be zhu-ooming with Zhu Zhu Pets fun! Rock Out. 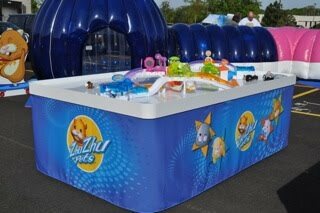 Show off your dance skills on the Rock Star Stage while grooving to the Zhu Zhu Flo with your favorite Zhu Zhu Pets. Which Zhu Are You? The Zhu Character Generator tells you which Zhu Zhu Pet or Kung Zhu hamster you are most like. Are you like Jilly, the energetic captain of the pep squad? Or are you like Sgt. Serge, the ultimate protector of the Zhu-niverse? Channel Your Inner Zhu Zhu Pet. 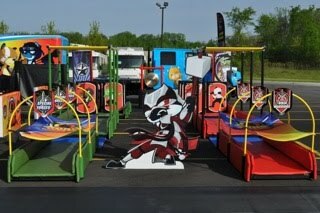 Scurry and roll around in the life size hamster habitat trail and hamster wheel just like your favorite Zhu Zhu Pet.Kung Zhu Training Grounds. 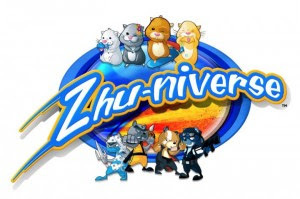 Check out the latest addition to the Zhu family, Kung Zhu battling hamsters! 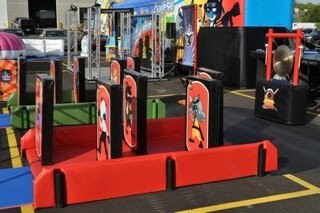 Test your skills at the Kung Zhu Training Grounds adventure obstacle course. 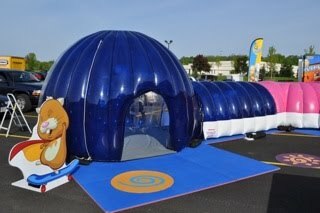 Gaming Tent. 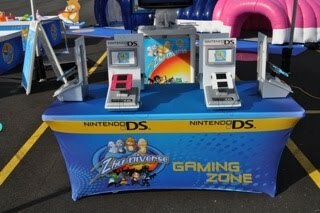 Inside the Gaming Tent, kids and adults can play the latest, adventure-packed Zhu Zhu Pets game on Nintendo DS by Activision. Be sure to check out Zhu-niverse Tour for more information.